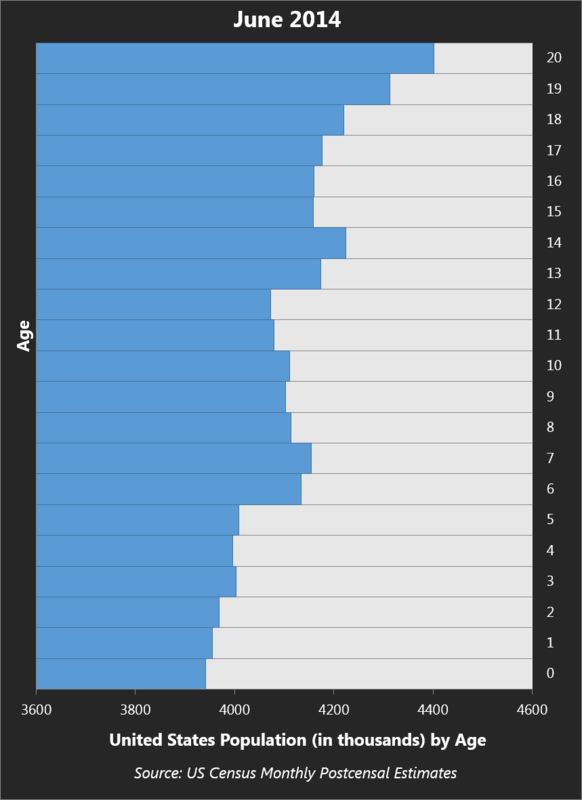 If we zoom in on the college-aged population, the problem becomes obvious. Enrollment peaked in 2011. In July of 2011, there were about 18.1 million people in the prime college years of 18-21. In June of 2014, that number was down to 17.4 million – nearly 700,000 fewer young people. 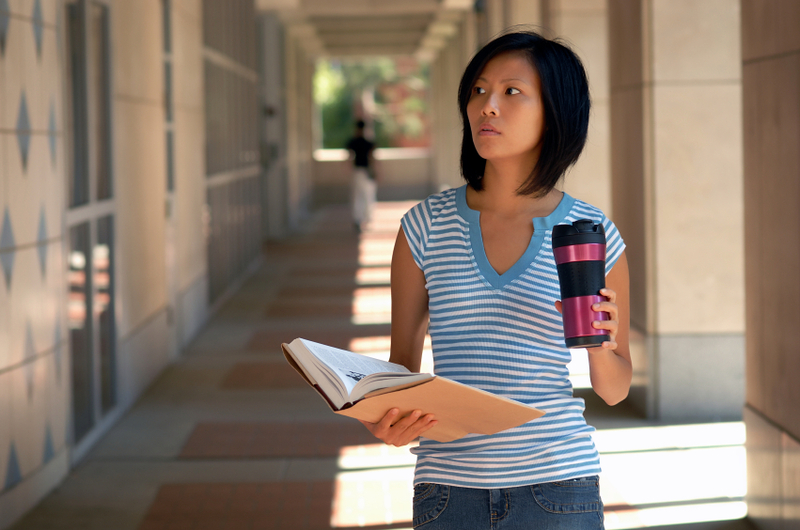 U.S. colleges enrolling 300,000 fewer students last year suddenly makes a lot of sense. Not only are other options opening up for high school grads, but there are also just fewer warm bodies to go around. If we think about the graduating high school seniors who might be entering college, there would have been close to 4.6 million 18 year-olds in 2009. Five years later, there are only 4.2 million – And the 17 year-olds preparing for college are the smallest age cohort younger than 35 – at 4,176,000. The next set of them (current 16 year-olds) will be even smaller. 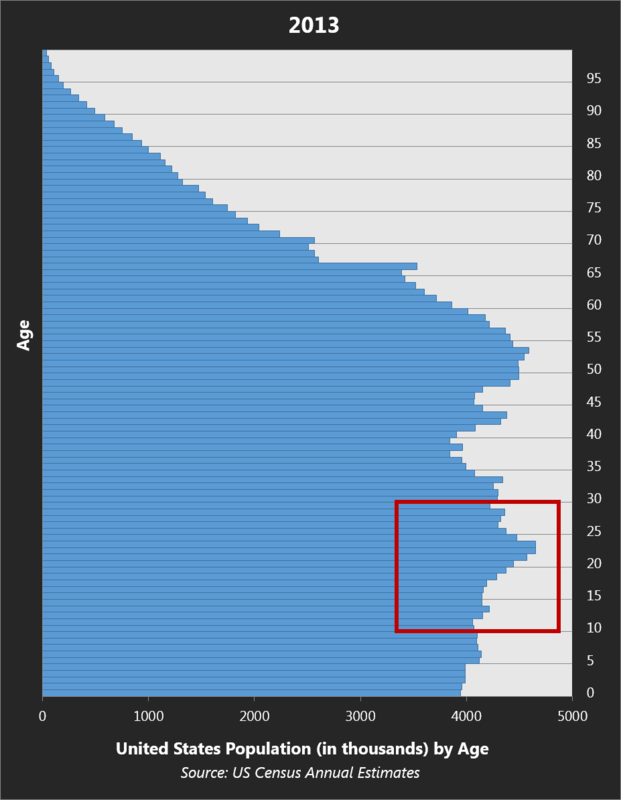 In fact, we should expect a slowly declining pool of college-aged students for the foreseeable future, as illustrated by the graph below. 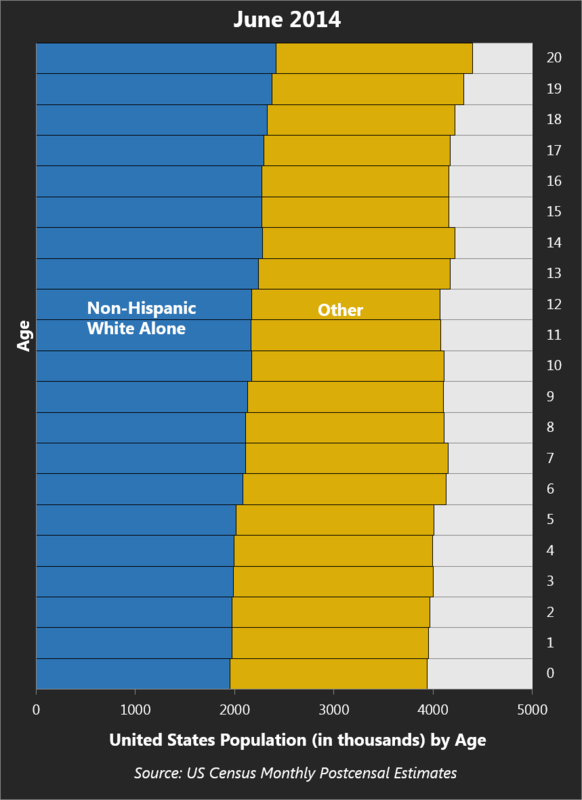 Another interesting story here: the percentage of young people who are non-Hispanic whites is also on the decline – below 50% in the youngest age cohorts. Historically (and currently), non-Hispanic whites attend college at disproportionately higher rates than most minority groups. For some colleges, “encouraging diversity” may go from being a matter of ethics to a matter of survival.